In 2005, Counsilman-Hunsaker provided a swimming pool audit for the Louis D. Beaumont swimming pool which was in desperate need of an update. The audit identified items that were substandard, not operating as designed, and/or did not comply with applicable Health Department regulations. The existing body of water and mechanical systems were evaluated and an opinion of probable cost for deficient items needing repair or replacement were identified. 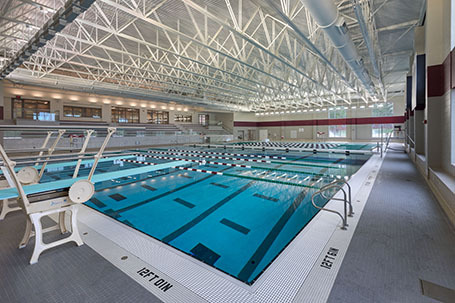 In 2016, the school decided to construct a new aquatic center and athletic complex. 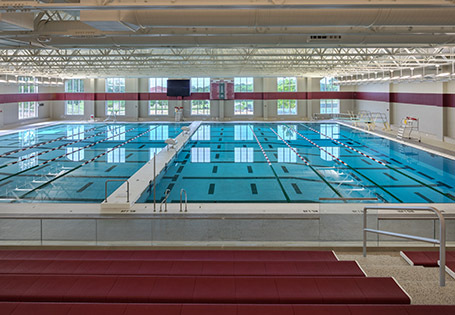 The new Steward Family Aquatic Center was designed to fully support physical education classes, summer camps, competitive swimming, diving and water polo programs, as well as instructional swimming classes. 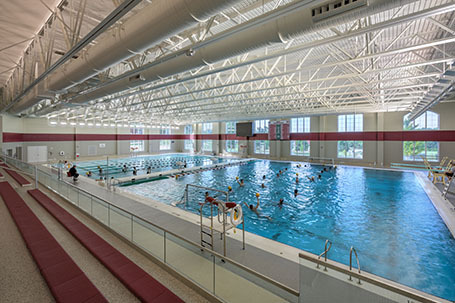 To accommodate these varied student uses, the pool features a movable floor and moveable bulkhead. The new athletic complex also features three new sport venues: a new multi-sport stadium, hospitality pavilion, and campus athletic fields.